First Listen: Neon Indian, 'Era Extraña' Call it what you want: "chillwave," "glo-fi" or whatever catchphrase comes along next. But this tuneful, inventive album is as much a pop record as the Madonna hits of another era. Neon Indian's Era Extraña comes out Sept. 13. A few years ago, at the dawn of the electronic pop subgenre known as "chillwave" — think warm, bleary, heavily filtered washes of sound, of the variety most commonly created on laptops — the music spawned excitement and skepticism in equal measure. Was it a flash in the pan? The new sound of pop? It may be relatively easy to make chillwave using only a computer, but who's going to use it to transform pop music; to transcend genre tags and marketing in order to advance the sound of music and sustain a career? These days, musicians are starting to answer these questions themselves. As chillwave has grown and matured, artists such as Washed Out, Toro Y Moi, Teen Daze, Com Truise and Small Black have emerged as leaders in a broad category of electronic music. 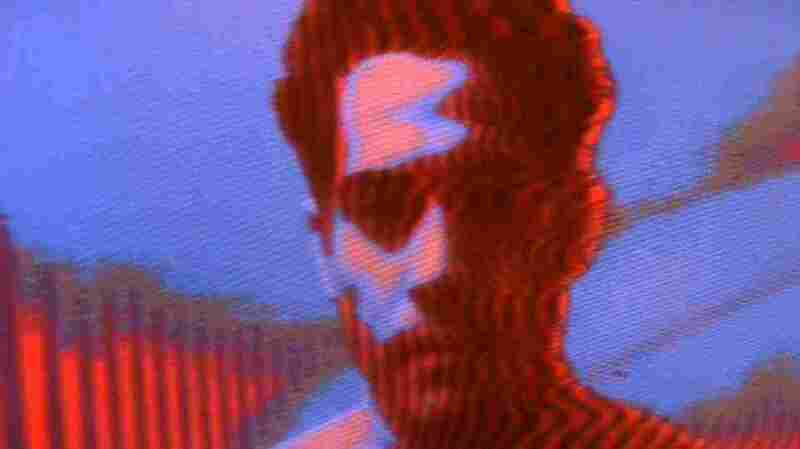 Another standout in this continuum of synthesized sounds is Denton, Texas' Neon Indian, a.k.a. Alan Palomo, a Mexican-born producer and musician who was a member of the bands Ghosthustler and Vega. Neon Indian's new album, Era Extraña, follows 2009's breakthrough debut Psychic Chasms. Recorded in Helsinki and mixed by Dave Fridmann, the record builds on the charm of its predecessor by adding new musical colors and depth to Palomo's swirling, computerized pop songs. Many of the new tracks are anchored in '80s synth-pop and new wave, from Depeche Mode and Thompson Twins to Joy Divison and even Genesis. In fact, "Halogen (I Could Be a Shadow)" would segue nicely into "Turn It on Again." The added musical depth on Era Extraña prevents it from sounding like a mere extension of Psychic Chasms. "The Blindside Kiss" is fueled by its Jesus and Mary Chain-style buzzsaw guitars and dark, reverberating vocals. "Hex Girlfriend" begins with warbly lo-fi computer-game sounds before exploding into a synth-pop joyride that's equal parts The Fall and The Human League. "Fallout" could have been lifted from David Bowie's Low, with its pulsing and brooding bursts of melodic synthesizers and breathy vocals. Call it what you want: "chillwave," "glo-fi" or whatever catchphrase comes along next. But the inventive and tuneful Era Extraña is every bit as much a pop album as, say, the Madonna classics that precede it.